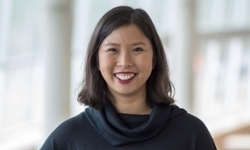 UNMC › Pathology and Microbiology › Faculty › Bios › Caroline L. Ng, Ph.D.
Ng CL, Fidock DA, Bogyo M. Protein degradation systems as anti-malarial therapeutic targets. Trends Parasitol (2017) 33(9): 731-743. Vanaerschot M, Lucantoni L, Li T, Combrinck JM, Ruecker A, Tiruppadiripuliyur SK, Rubiano K, Ferreira PE, Siciliano G, Gulati S, Henrich PP, Ng CL, Murithi JM, Corey VC, Duffy S, Lieberman OJ, Sinden RE, Alano P, Delves MJ, Sim KL, Winzeler EA, Egan TJ, Hoffman SL, Avery VM, Fidock DA. Identifying hexahydroquinolines as new antimalarial candidates with potent blood stage and transmission-blocking activity. Nat Microbiol (2017). Published online Aug 14. McCarthy JS, Lotharius J, Rückle T, Chalon S, Phillips MA, Elliott S, Sekuloski S, Griffin P, Ng CL, Fidock DA, Marquart L, Williams NS, Gobeau N, Bebrevska L, Rosario M, Marsh K, Möhrle JJ. Safety, tolerability, pharmacokinetics, and activity of the novel long-acting antimalarial DSM265: a two-part first-in-human phase 1a/1b randomised study. Lancet Inf Dis (2017) 17(6):626-635. Sonoiki, E.*, Ng CL*, Lee MC, Guo D, Zhang YK, Zhou Y, Alley MRK, Ahyong V, Sanz LM, Lafuente-Monasterio MJ, Dong C, Schupp PG, Gut J, Legac J, Cooper RA, Gamo FJ, DeRisi J, Freund YR, Fidock DA, Rosenthal PJ. A potent antimalarial benzoxaborole targets a Plasmodium falciparum cleavage and polyadenylation specificity factor homologue. Nat Comm (2017) 8:14574. * These authors contributed equally to this work. Le Bihan A, de Kanter R, Angulo-Barturen I, Binkert C, Boss C, Brun R, Buchmann S, Burrows J, Dechering KJ, Delves M, Ewerling S, Ferrer S, Ng CL, Straimer J, Gnäedig NF, Fischli C, Gamo-Benito FJ, Heidmann B, Jiménez-Díaz, Leroy D, Marfurt J, Martínez MS, Meyer S, Moehrle J, Noviyanti R, Price RN, Ruecker A, Sanz LM, Sauerwein RW, Scheurer C, Schleiferboeck S, Sinden R, Synder C, Wirjanatah G, Weller T, Fischli W, Clozel M, Wittlin S. Characterization of Novel Antimalarial Compound ACT-451840: Preclinical Assessment of Activity and Dose-Efficacy Modeling. PLoS Medicine (2016) 13(10):e1002138. Ng CL*, Siciliano G, Lee MCS, de Almeida MJ, Corey VC, Bopp SE, Bertuccini L, Wittlin S, Kasdin RG, Le Bihan A, Clozel M, Winzeler EA, Alano P, Fidock DA*. CRISPR-Cas9-modified pfmdr1 protects Plasmodium falciparum asexual blood stages and gametocytes against a class of piperazine-containing compounds but potentiates artemisinin-based combination therapy partner drugs. Mol Micro (2016) 101(3):381-93. * Corresponding authors. Phillips MA, Lotharius J, Marsh K, White J, Dayan A, White KL, Njoroge JW, El Mazouni F, Lao Y, Kokkonda S, Tomchick DR, Deng X, Laird T, Bhatia SN, March S, Ng CL, Fidock DA, Wittlin S, Lafuente-Monasterio M, Benito FJ, Alonso LM, Martinez MS, Jimenez-Diaz MB, Bazaga SF, Angulo-Barturen I, Haselden JN, Louttit J, Cui Y, Sridhar A, Zeeman AM, Kocken C, Sauerwein R, Dechering K, Avery VM, Duffy S, Delves M, Sinden R, Ruecker A, Wickham KS, Rochford R, Gahagen J, Iyer L, Riccio E, Mirsalis J, Bathurst I, Rueckle T, Ding X, Campo B, Leroy D, Rogers MJ, Rathod PK, Burrows JN, Charman SA. A long-duration dihydroorotate dehydrogenase inhibitor (DSM265) for prevention and treatment of malaria. Sci Transl Med (2015) 7(296):296ra111. Lisewski AM, Quiros JP, Ng CL, Adikesavan AK, Miura K, Putluri N, Eastman RT, Scanfeld D, Regenbogen SJ, Altenhofen L, Llinás M, Sreekumar A, Long C, Fidock DA, Lichtarge O. Supergenomic network compression and the discovery of EXP1 as a novel glutathione transferase inhibited by artesunate. Cell (2014) 158(4):916-28. Brunner R, Ng CL, Aissaoui H, Akabas MH, Boss C, Brun R, Callaghan PS, Corminboeuf O, Fidock DA, Fram IJ, Heidmann B, Le Bihan A, Jenö P, Mattheis C, Moes S, Müller IB, Paguio M, Roepe PD, Siegrist R, Voss T, Welford RW, Wittlin S, Binkert C. UV-triggered affinity-capture identifies interactions between the Plasmodium falciparum Multidrug resistance protein 1 (PfMDR1) and antimalarial agents in live parasitized cells. J Biol Chem (2013) 288(31):22576-83.